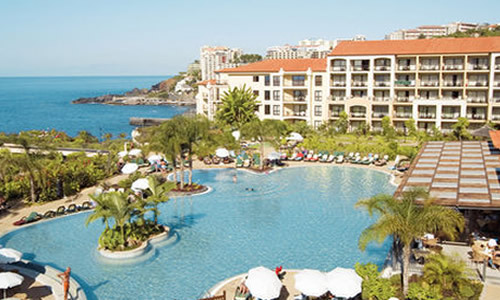 Timeshare at Porto Mare Residence is set on the lush green Island of Madeira, west of Funchal’s town center. 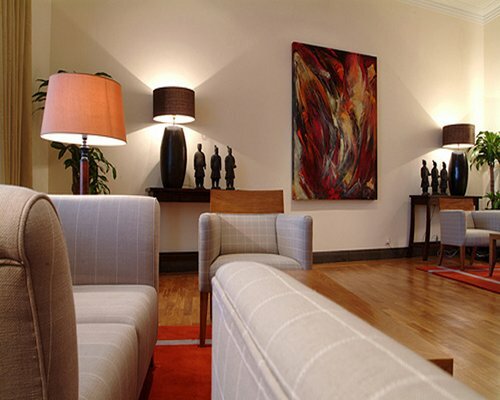 This luxury Five Star Gold Crown timeshare resort has a vast range of facilities available to suit everybodys needs. The Resort has three outdoor swimming pools, one is children only, and two indoor pools, you should always be able to find time to either to take a dip or simply relax by the pool at Porto Mare Residence. A luxury spa boasts 2 saunas, 6 treatment rooms, and gymnasium which provides a range of therapies to help pamper yourself on this very special luxury vacation. The children are very well catered for with a full entertainment program, with mini golf, table tennis and family board games. Sporting facilities include tennis and french bowls. Porto Mare offers a selection of four mouth watering restaurants offer quality dining experiences and with many comfortable bar areas for, you are sure to find your own favourite place to enjoy a holiday cocktail or two! For those with a sweet tooth the resort also has it’s very own ice cream parlour! 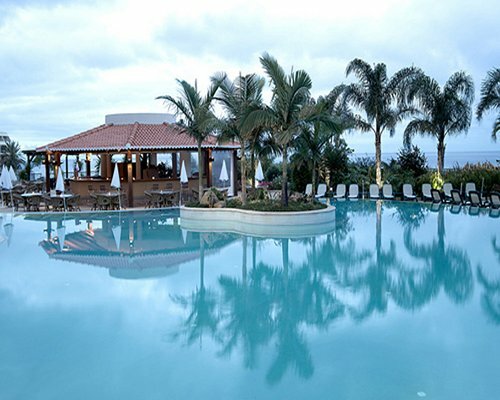 The large subtropical gardens of Porto Mare make good use of Madeira’s lush climate and include hundreds of botanical species identified with individual explanatory tags. As Porto Mare Residence is on our popular demand list we have clients waiting to buy so if you have been thinking I want to sell my porto mare residence timeshare plesae contact our office today.